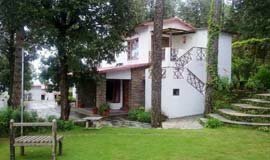 Book Mary Budden Cottage Binsar online with 16 % discount on Room Packages Tariff. 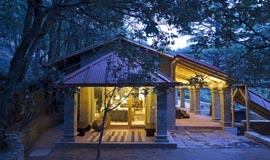 "Picturesque luxury homestay in a wild life sanctuary. Confortable suites with very good service and very good cook Charming terrasse garden Welcoming, friendly atmosphere with estate manager Sheela and her very gentle, capable and helpful staff. a magic place in a beautiful nature !" Welcome to Mary Budden Estate. 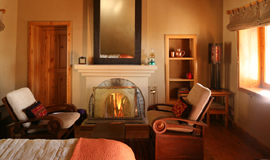 In the untouched, uncluttered and disengaged environs of Mary Budden Estate, you will have the ideal chance to unwind, reconnect and re-sharpen yourself to your psyche and to your body, with the goal that you may start to comprehend what it is that you truly require. 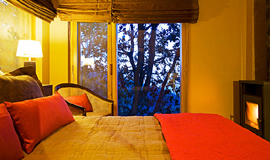 We are situated in a comfortable corner of the Kumaon, in the glorious center Himalayan Mountains. 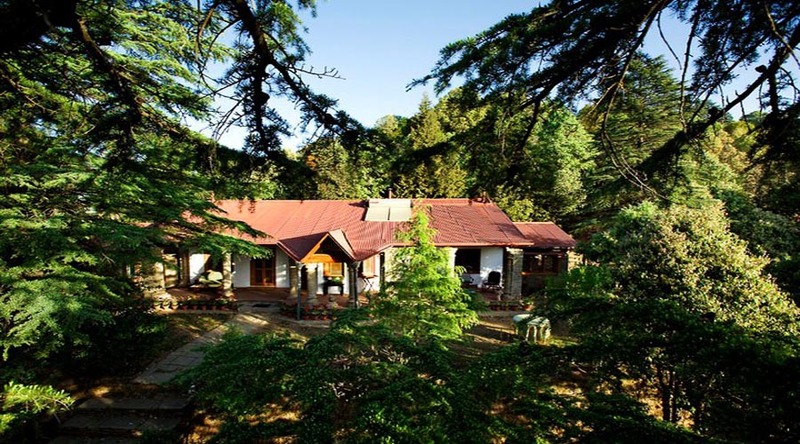 Come to Mary Budden Estate to unwind in a quiet setting inside the detached Binsar Wildlife Sanctuary, where we are pleased with our natural and social manageability. 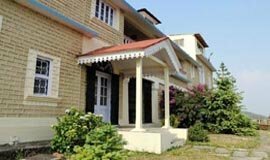 You will get the opportunity to loosen up and re-interface with nature at our family run extravagance homestay, a completely reestablished legacy home going back to the nineteenth century. We trust that your stay with us will be unwinding and critical. 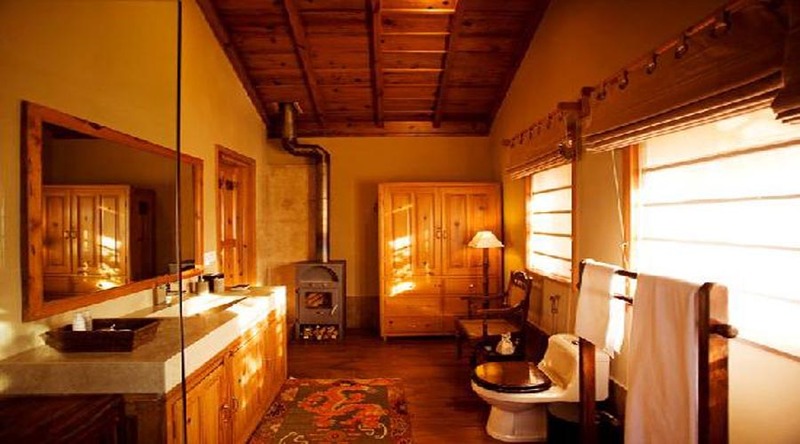 Mary Budden Cottage: Appreciate and downplayed extravagance in the wild. Mary Budden estate harvests rain water, is completely controlled by sun oriented vitality and its greenhouses are plenteous with natural create. Each room is kept warm by a chimney or bukhari. Staff is accessible to plan and serve suppers and give different administrations. Budden Cottage is constantly warm and welcoming. It can serenely rest six individuals in addition to two kids in elegantly outfitted rooms that are finished in the soul of rich nation living. A close entryway patio, antique kilm floor coverings, rich pine wood and various niches add to the appeal of the bungalow, which is accessible for lease year round as a solitary unit. Budden Estate has been tended to with affection and enthusiasm and we trust you will go along with us here so we may pamper you as well. 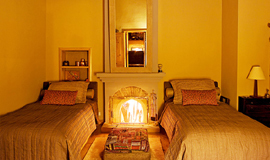 Cosmos:-One of the three bedrooms in Mary Budden Cottage, Cosmos has a fireplace and a beautiful bathroom enriched by its wooden flooring. Wisteria:-The bedroom in the heart of the cottage is called Wisteria and has two large twin-size beds on either side of a fireplace. 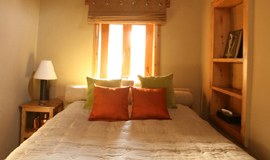 This room also has an ensuite bathroom and a cosy annexe which accommodates a spare bed. Wild Rose:-Wild Rose bedroom, with an ensuite bathroom which has modern fittings and an ambience of luxury, further benefits from a charming annexe should there be need for an extra bed. 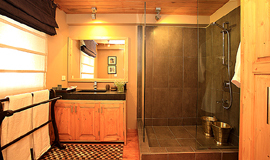 Rhododenderon Cottage: Appreciate and downplayed extravagance in the wild. Mary Budden estate harvests rain water, is completely controlled by sun oriented vitality and its greenhouses are plenteous with natural create. Each room is kept warm by a chimney or bukhari. Staff is accessible to plan and serve suppers and give different administrations. 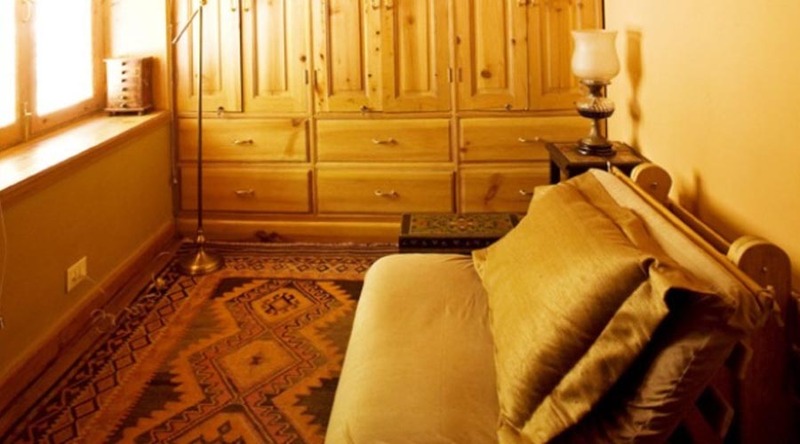 Budden Cottage is constantly warm and welcoming. It can serenely rest six individuals in addition to two kids in elegantly outfitted rooms that are finished in the soul of rich nation living. A close entryway patio, antique kilm floor coverings, rich pine wood and various niches add to the appeal of the bungalow, which is accessible for lease year round as a solitary unit. Budden Estate has been tended to with affection and enthusiasm and we trust you will go along with us here so we may pamper you as well. Cherry Blossom:-Cherry Blossom, one of the bedrooms in Rhododenderon cottage benefits from pinewood ceilings and an ensuite bathroom. Juniper:-Large picture windows adorn Juniper bedroom. The bedroom further benefits from an ensuite bathroom. 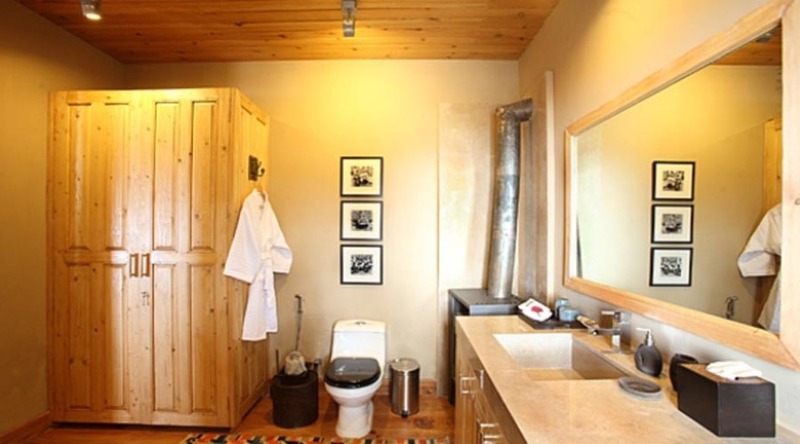 Cedar Suite:-Sensitively furnished and decorated, Cedar Suite is cosy and also has an ensuite bathroom. 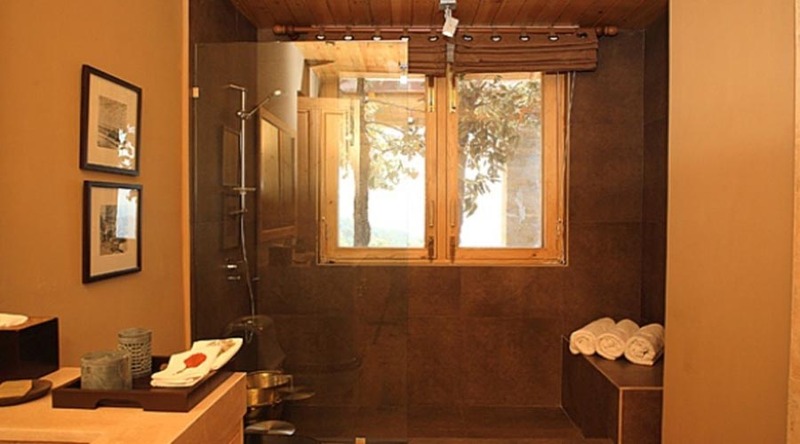 Oak Suite:-Courting magnificient views of the Himalaya, Oak Suite sports pinewood ceilings, its own private living room and an ensuite bathroom. The hotel offers a variety of rooms for guests and travellers with different budgets ranging from economical to luxury. The rooms are divided into categories of Executive Suites which are the highest category, Super Deluxe rooms, Deluxe rooms and Semi Deluxe rooms which are the lowest category. The facilities common to all the rooms are telephone, cable television, running hot & cold water, room service and attached washrooms. 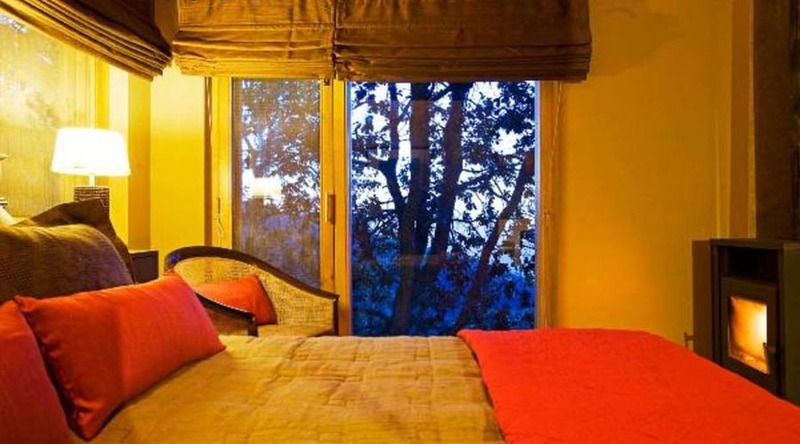 Allseasonsz.com,Uttarakhand India provide online booking for Hotels in Binsar so that one is assured that their hotel reservation in Binsar is done well in advance.These hotel's satisfy people with their needs so that they visit the place again. 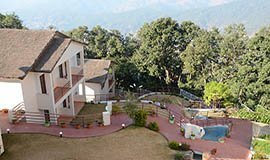 Travellers normally opt for those Binsar hotels resorts which effectively cater to their requirements and are in close-quarters with the tourist destinations. 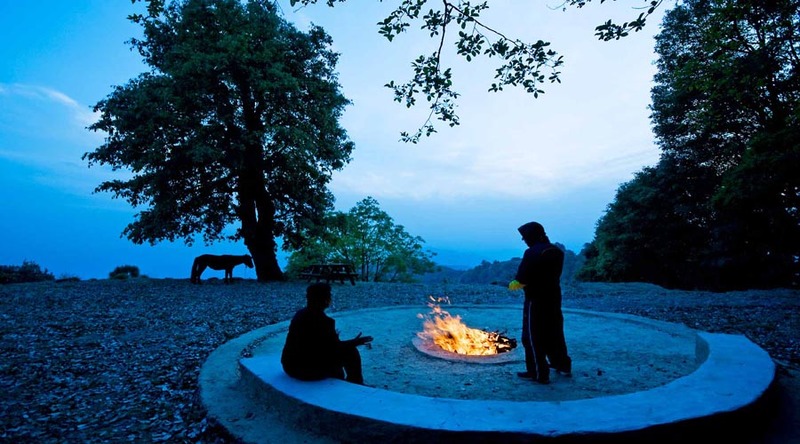 Hotels in Binsar greeted with best of hospitality and comfortable guestrooms opening up to views of this important destination. 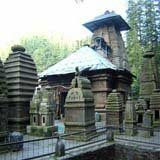 There are three ways to reach Mary Budden Cottage, in Binsar i.e via Train, by Bus or via air. 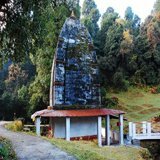 The nearest airplane terminal to Binsar is at Pantnagar, 127 km away. The closest railhead is at Kathgodam, 120 km. The Kathgodam railroad station is very much associated with all the real urban areas like New Delhi, Kolkata, Dehradun, Jammu and Kanpur. 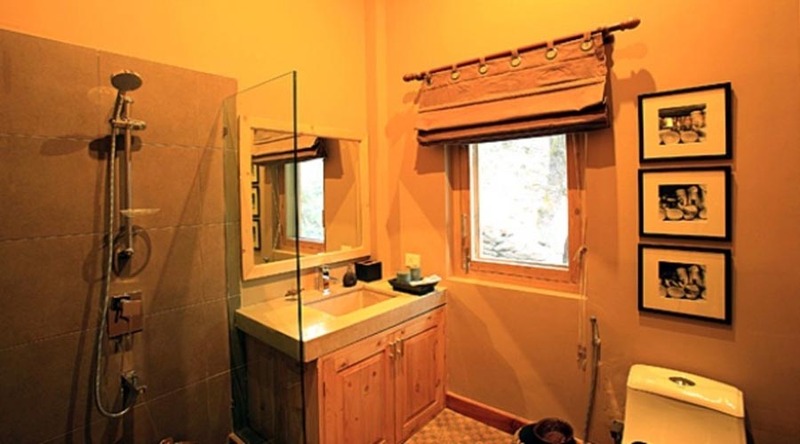 Get off at the railhead and take a visitor transport, taxi or drive up by means of Almora, 30 km from Binsar. 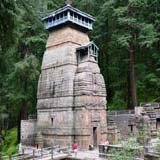 Binsar is situated at a separation of 380 km from Delhi and it will take you about 10 hours to arrive from the city of New Delhi. 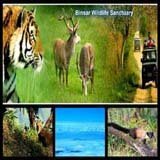 For more on How To Reach Binsar Click Here. 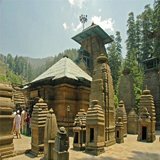 Binsar is very much connected by street that further associates with other significant urban areas and towns of Kumaon slopes. Has everything we could want. Just stayed at Mary Budden for four days including Christmas Day. 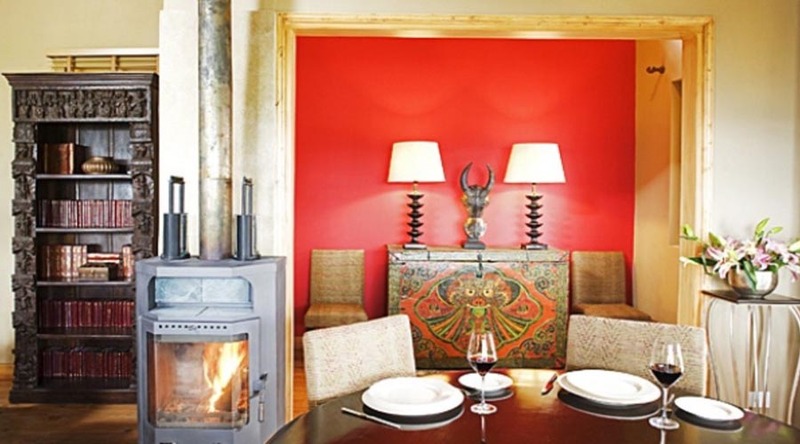 We were so impressed with the level of accommodation which was beautiful, the attentive staff and the delicious food. To add to the experience, we were accompanied each day on our hike by Deepak, a freelance guide, who provided us with experiences that we normally would not have got. 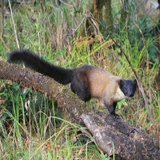 We are keen birders and wildlife enthusiasts and although a bit cold and dry at this time of the year, we had plenty to see and some beautiful country to walk through. 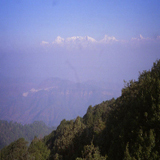 Our visit was topped with snow on Christmas day and a subsequent outstanding view of the Himalayas as we were leaving. Mary Budden is a beautiful place to stay and I would not hesitate to recommend it. Only one suggestion is to ask for cushion to be put on the mattress, as the beds are very hard - ok if you like that sort of thing. We will be back. The magic began the moment we reached and were greeted by Sheetal and members of her team. And two friendly dogs! We were given a room with beautiful view of the hills. We had a living and dining room all to ourselves too. The bathroom was big, with a nice closet for our clothes. The food was of gourmet quality, Govindjee cooked dishes of our choice for every meal. All the other staff were polite, attentive and friendly, always eager to please. 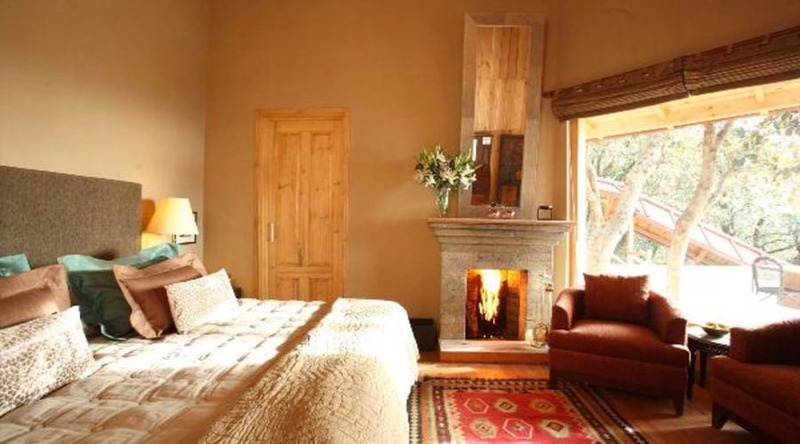 This luxury hotel has a lot of character and is very well appointed. It is run efficiently with a lot of attention to detail by Sheetal and the rest of wonderful people there. We recommend this hotel highly. Cancellation and prepayment policies vary according to room type. Please check what room conditions may apply when selecting your room above. As per Government regulations, It is mandatory for all guests above 18 years of age to carry a valid photo identity card & address proof at the time of check-in. In case, check-in is denied by the hotel due to lack of required documents, you cannot claim for the refund & the booking will be considered as NO SHOW. Unless mentioned, the tariff does not include charges for optional room services (such as telephone calls, room service, mini bar, snacks, laundry etc). In case, such additional charges are levied by the hotel, we shall not be held responsible for it. All hotels charge a compulsory Gala Dinner Supplement on Christmas and New Year's eve. 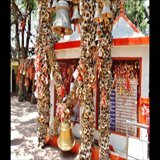 Other special supplements may also be applicable during festival periods such as Dusshera, Diwali etc. Any such charge would have to be cleared directly at the hotel. In case of an increase in the hotel tariff (for example, Holi, Long Weekends, Christmas, New Year) the customer is liable to pay the difference if the stay period falls during these dates. How do I know my reservation was booked? You will receive an SMS and email on confirmation of your hotel booking. Do I need to confirm my reservation? There is no need to confirm your reservation. If you still feel you would like to verify that your reservation was made, you can do so by writing to our Customer Support Team or by contacting our customer services team. Is there a cancellation policy for Hotels booked on Allseasonsz? The cancellation policy for hotel bookings varies according to hotel and room type. For more information, please check the cancellation policy mentioned next to the price for the room type. If you are cancelling after the check-in date, there will be no refund. In all cases, you'll be charged a standard cancellation fee of Rs.350 per booking over and above the hotel's own cancellation charges. How do I pay for the gala dinner? Gala dinner charges which are applicable for Christmas and New Year dates would be extra and payable directly to the hotel. Please check with the hotel directly for more information on the same. 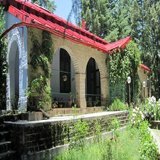 Book rooms,packages of Mary Budden Cottage Binsar at allseasonsz.com.See photos,check reviews for Mary Budden Cottage Binsar.Allseasonsz.com offers best rates for Hotels in Binsar Uttarakhand, starting@599 onwards. Based at destination,can assist you best when needed!